Monsignor Nelson Baker, most commonly known as "Father Baker," was born on February 16, 1842, in Buffalo, NY, to a German Lutheran father and Irish Catholic mother. After graduating from high school, he enlisted in the Union Army for 30 days of active duty during the Civil War. Upon his return, he began a successful grain and feed business with partner Joseph Meyer. After five years in business, Nelson pursued a calling to the priesthood, entering Our Lady of Angels Seminary in Niagara Falls. He was ordained a diocesan priest on March 19, 1876. For five years, Father Baker served as assistant at the Limestone Hill Institutions in Lackawanna, NY, which included an orphanage, boy's protectory and small parish. 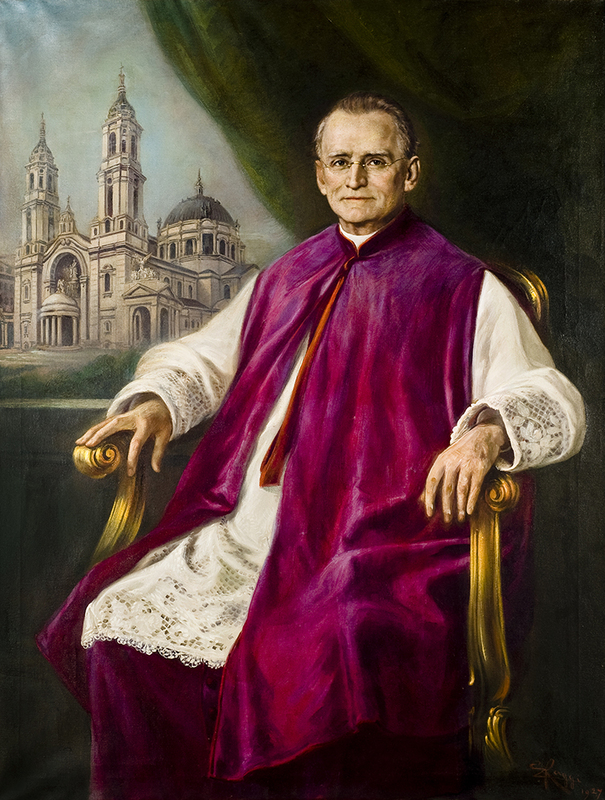 After serving for a little less than one year in Corning, NY, he was called to return to Lackawanna to take over the charitable organization that would become Our Lady of Victory Institutions. Father Baker grew the existing services and expanded the scope of ministry to include an industrial school, a home for unwed mothers and infants, and a hospital. In thanksgiving to his patroness for all her help, Father Baker built Our Lady of Victory National Shrine, which was consecrated and named a minor basilica in 1926. He continued his outreach to those in need in the surrounding region until his death on July 29, 1936. In 1987, the Congregation for the Causes of Saints approved the initiation of Father Baker's Cause for Canonization. His earthly remains were moved from a nearby cemetery to a tomb within the Basilica in March 1999. Pope Benedict XVI declared Father Baker Venerable on January 14, 2011. Reopened in 2009, an expanded and renovated museum occupies most of the lower level of the Basilica. The exhibit takes visitors on a tour of Father Baker's life and charitable works which continue to this day. Filled with artifacts from his life, cherished memories of people impacted by his ministry, and interesting facts and figures along the way, the museum serves as a tool to illustrate both the history and present-day impact of Father Baker's Legacy of Caring.